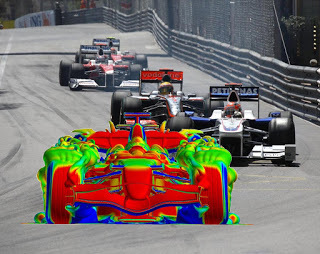 Aerodynamic analysis of a complete Formula 1 configuration (click on any image to enlarge it). During the last two decades, giant strides have been achieved in many aspects of computational engineering. Higher-fidelity mathematical models and faster numerical algorithms have been developed for an ever increasing number of applications. Linux clusters are now ubiquitous, GPUs continue to shatter computing speed barriers, and Exascale machines will increase computational power by at least two orders of magnitude. 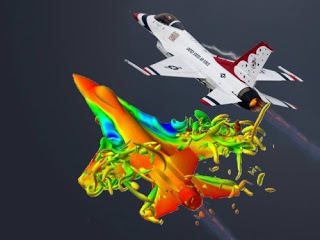 Coupled fluid-structure analysis of an F-16 Fighting Falcon configuration at high angle of attack. More importantly, the potential of high-fidelity physics-based simulations for providing deeper understanding of complex systems and enhancing their performance has been recognized in almost every field of engineering. 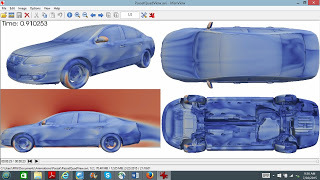 Yet, in many applications, high-fidelity numerical simulations remain so computationally intensive that they cannot be performed as often as needed, or are more often performed in special circumstances than routinely. High-dimensional solution snapshots of a street car flow problem computed for the purpose of constructing a parametric reduced-order model. Consequently, the impact of supercomputing on time-critical operations such as engineering design, optimization, control, and test support has not yet fully materialized. To this effect, this talk will argue for the pressing need for a game-changing computational technology that leverages the power of supercomputing with the ability of low-dimensional computational models to perform in real-time. 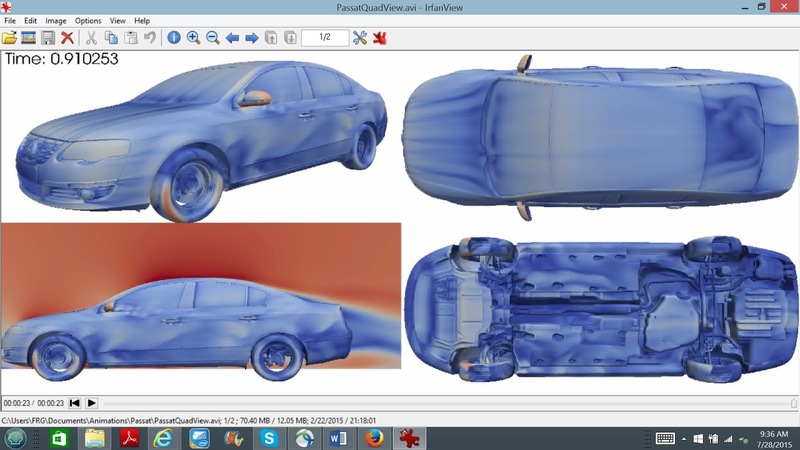 It will also present a candidate approach for such a technology that is based on projection-based nonlinear model reduction, and demonstrate its potential for parametric engineering problems using real-life examples from the naval, automotive, and aeronautics industries. Invited speaker Charbel Farhat prior to his flight in a F/A-18 Hornet with the legendary Blue Angels. Charbel Farhat is the Vivian Church Hoff Professor of Aircraft Structures, Chairman of the Department of Aeronautics and Astronautics, and Director of the Army High Performance Computing Research Center at Stanford University. He is a member of the National Academy of engineering, a Fellow of AIAA, ASME, IACM, SIAM, and USACM, and a designated Highly Cited Author in Engineering by the ISI Web of Knowledge. He was knighted by the Prime Minister of France in the Order of Academic Palms and awarded the Medal of Chevalier dans l’Ordre des Palmes Academiques. He is also the recipient of many other professional and academic distinctions including the Lifetime Achievement Award from ASME, the Structures, Structural Dynamics and Materials Award from AIAA, the John von Neumann Medal from USACM, the Gauss-Newton Medal from IACM, the Gordon Bell Prize and Sidney Fernbach Award from IEEE, and the Modeling and Simulation Award from DoD. 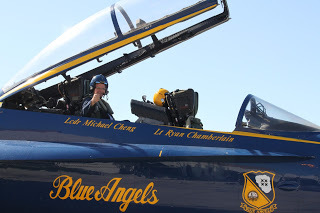 Recently, he was selected by the US Navy as a Primary Key-Influencer, flown by the Blue Angels during Fleet Week 2014, and appointed to the Air Force Science Advisory Board.